Today's post has a little menswear Monday theme with it with some fall fashion inspiration, including a revolutionary new timepiece by Victorinox: I.N.O.X. To celebrate the 130th anniversary of Victorinox, the Swiss Army knife company created a timepiece echoing the unique values of their famous Swiss Army knives: authentic, robust and reliable in all conditions. I.N.O.X. is designed and built to withstand unusual levels of stress, it has passed a battery of 130 ruthless strength tests with flying colors, and is further reinforced with a removable bumper protector composed of nylon and silicone. I know how important it is for many guys to have a robust, lasting timepiece that is stylish enough for work but can last through sailing, hunting, running and basically keep up with active lifestyles. Check out the video on their website to learn about all of tests this watch went through and to snag one for yourself: http://www.victorinoxwatches.com. Oh and did I mention it comes in black, navy and khaki? Now on to the best part - I'm giving you a little rundown of one of my favorite menswear looks for fall that would pair perfectly with this watch. For a casual approach, take a quilted jacket, pair it with a no-iron shirt, some nicely fitting jeans and finish it off with some oxfords or chukkah boots. 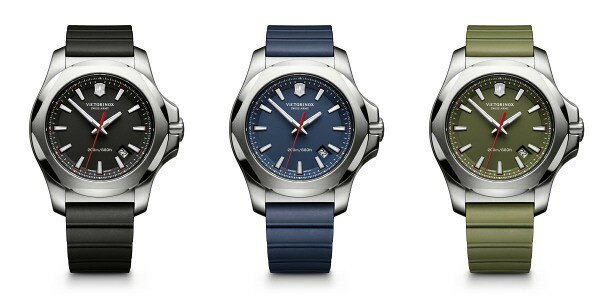 This post was sponsored by Victorinox to celebrate the launch of INOX. All opinions expressed are my own and thank, you for supporting the brands that make this little blog possible.